Pardon me but I am frustrated beyond belief!!!! I’m about ready to take a long break from the acid reflux creating world of education reform and trying to help folks understand how we got to this point in the continued assault on our democratic system of locally controlled public school! So you can take this as a rant or an example of sour grapes – or – I hope, a post that will allow you to actually understand what Diane Ravitch is now trying to explain!! However, while I appreciate Diane Ravitch’s mea culpa around 2008 when she had an epiphany that there were forces out to destroy our democratic system of public schools, and that she acknowledged she had actively participated in that attack prior to her epiphany, perhaps I can speak for many of us who find her new new more crystal clear revelation about the free market to be “kinda?” self-serving. While some think she is the new savior who will lead the re-taking of our public schools by the PUBLIC, she constantly puts me in a state of angst when it comes to education reform. Perhaps I am not alone. Here is why. Now I am not talking, for example, about her organization endorsing the new ESSA even when some saw the act as a flawed document. That’s bad enough, but it’s even worse than that reality! That’s because this act, when her organization endorsed it, was already a product of exactly what she is now criticizing, which is fundamentally the source of the multifaceted attack on the system of public education Ravitch seems to want to be seen as championing! Understand that there were some of us who were accurately seeing this happening “again and again” and pointing this out in more crystal clear and well researched terms before Ravitch now seems to be intent on making this explicit and even before the ESSA was first floated out to the public. You need to read a really good book Diane, since the book had already explained the impact of the free market Friedmanomic neoliberal free market education reform on our democratic system of public schools both before and after your epiphany – and well before the ESSA became the law of the land!!!! Very importantly, this book was out there prior to you and your group’s jumping on the ESSA bandwagon of which you now seem to be expressing “buyer’s remorse!” Of course, others were also warning you about this!!! However, you did not listen it seems. The question therefore remains, why did you not listen even after your mea culpa epiphany, and even as “The Origins of the Common Core: How the FREE MARKET Became Public Education Policy” (a book endorsed by Susan Ohanian, a long time champion for public schools) made the corrosive effects of free market education reform explicitly clear both after the creation of NCLB (2001) and when you were actively supporting free market corporate privatizers prior to NCLB – and before the creation of the ESSA? Maybe you just did not know about it? Maybe you just learned about free market education reform? I have no clue as to the right answer to these questions. All I can say is that while no single book totally explains how the “free market” is assaulting our public schools, I believe, and perhaps some might even agree, that the public will never get even close to the real story of how this happened by simply relying on Diane Ravitch! You know, you can indeed, lead a horse to water but you can’t make it drink!!! The question remains, what source of water from which the public is drinking will actually enable the public to understand how the free market neoliberal corporate privatizers began engaging, and continue to engage, in destroying our public schools as even Diane Ravitch now admits is happening. Problem is – all this was starting to happen prior to 2016, prior to the CCSS 2010, prior to 2008, and prior to NCLB (2001). Very importantly, during this election year we might ask, “What Presidents were engaged on facilitating these corporate free market efforts to destroy our public schools?” Answer, Reagan, Bush I, Clinton, Bush II, and Obama! I think the research is clear!!! But even more importantly, what does the public believe and know about the complex invasive insidious world of corporate free market education reform? How long will it take for America to wake up??? Diane Ravitch once said that we need to get the story about education reform out to the public! On this point I would agree! Once again, let’s get something straight. This is not an all-inclusive discussion about charter schools, nor is it in any way a definitive history of the charter school movement. There are some books out there that actually critically evaluate charter schools. I like Kristin Buras’ work regarding New Orleans, and it’s always good to read books since blogs are only a good place to start understanding an issue or topic. And certainly I like my wife’s book. Nevertheless, after the business community got involved in systemic education reform by the end of the Reagan administration and then increasingly so during the administrations of Bush I, Clinton, Bush II, and now Obama, it didn’t take long for these savvy moneymakers to realize there were all kinds of opportunities to profit in the new burgeoning business of education. The Palisades conference in March, 1996, a collaborative effort of state governors and corporate CEOs, is important to always keep in mind because it impacted education reform in so many ways! In fact, according to an official review of the summit, CEO’s outnumbered governors at the conference 49 to 40! In addition there was a small and very select audience of 36 that was referred to as “resource participants.” These “resource” folks included 1) John L. Anderson of the New American Schools Development Corporation; 2) Lynne Cheney representing the conservative American Enterprise Institute; 3) Denis Doyle representing the conservative Heritage Foundation; 4) Chester Finn, representing the conservative Hudson Institute; 5) Christopher Cross a member of the Council For Basic Education and a Maryland State Board of education member; 6) Keith Geiger, NEA President; 7) Albert Shanker, AFT President; 8) former Governor of Maine James J.McKernan, McKernan Enterprises and eventual CEO of Education Management Corporation; 9) Robert G. Morrison, from the conservative Family Research Council; 10) James F. Orr, III, CEO UNUM Corporation and representing the National Business Alliance; 11) Lewis C. Solomon, The Milken Institute for Job and Capital Formation; 12) Marc Tucker for the National Center for Education and the Economy; and a couple of University folks like Diane Ravitch (pre-enlightenment) former Assistant Secretary of Education with the Bush I administration and at that point in time connected to New York University. The remaining individuals were mostly school superintendents, and there was ONE TEACHER! There were NO progressive think tanks represented like the conservative groups mentioned above. Now why do I mention this? Because by right around the Palisades conference, business already knew that there was “money in them thar hills” when it came to systemic education reform. For example, as explained on page 128 in the Origins of the Common Core: How the Free Market Became Public Education Policy, prior to Palisades in in October 1996, Lehman Brothers sponsored the first Education Industry Investment Conference. According to Douglas Dewey, who was writing for the conservative publication The Freeman, those attending were “regaled with new opportunities in an emerging $600 billion industry.” New corporate entrepreneurs were told that they had the potential to eliminate the government completely when it came to education, and that “the savvy investor will focus his attention on the greatest emerging market in decades and treat government schools as just another competitor to blow out of the water!” One month after the conference, the New York Times reported that for profit companies had already captured $30 billion in the $340 billion education business! Eight months after the conference Chester Finn (see above) told the Georgia Public Policy Foundation that smart investors could “make a dime” in an education business worth hundreds of billions! Now, again, why am I saying this? At the time the flavor of the day was certainly education technology. After all, the Palisades Conference ended up calling education technology – “The Great Equalizer!” Of course, there was all kinds of cash flowing in other areas as well. Pearson and companies of their ilk demonstrate the point. In 2014, Alan Singer analyzed and pointed out the involvement of corporate types in creating charters and the profitability in charter school ventures! And why not! What a deal! Use public money for private gain! You really need to click the Singer link since Alan sends us on a scary journey into the corporate world of charter school creation! Alan, however, has not been alone in warning of the “Walmartian invasion” coming from the Corporate Universe. For example, Elaine Magliaro, pointed out that New York was under attack as early as 2010. In 2014, Marian Wang, reporting for Bill Moyers, explained how the Koch Brothers and their minions are supporting the creation of charters in North Carolina within, in point of fact, a burgeoning national education market with the help of ALEC, a group that prides itself in creating charter schools, that are not under local control like most regular public schools are! The Walmartians are not shy in their assault on the American institution of public education. Of course, why should they be? They basically have all the Republicans and Democrats beginning in 1983 on the side of corporate Wall Street, and certainly now if the current flock of Democratic and Republican candidates is any indication! In spring 2015, The Walmart Family juggernaut co-sponsored, with the Bill and Melinda Gates Foundation (CCSS loyalists), a symposium for investors at the Harvard Club in Manhattan! And what was this symposium called? Bond and Blackboards: Investing in Charter Schools! I suggest you carefully look at the short 3 page or so conference proceedings. It sure scares the “you know what” out of me! I am not going to summarize. You must read this just to get some insight into how the Walmartians are planning to take over our public schools and who are some of the panelists and the organizations they represented that have allied themselves with these invading corporate Walmartians! I am also not shocked that a representative from KIPP was also on one of the panels, as the program indicates! Oh my!!! I almost forgot! What Walmartian invasion would be complete without the support of the Broad Foundation’s support for charter schools! Yes, the same Eli Broad of whom the Clintons have had and continue to have a long and warm relationship! Well, now you see it! Walmartians are not just a family! They are, indeed, a species. In fact, an invading species whose wealth is beyond the comprehension of too many of us insignificant little earthlings who still love our public schools because they have helped our communities as well as each of us as individuals in so many ways! For public schools, and in particular, locally controlled public schools, the invading Walmartians are like invading snakeheads into America’s lakes and rivers! However, I suggest that if some of the lakes and rivers need some cleaning up, don’t try to accomplish the task with snakeheads! I think anyone reading this can figure out the point I am making when it comes to education reform, and the larger social and economic factors impacting our public schools throughout the United States that impact the education of every child. Wow – all of a sudden I just had a Jack Nicholson moment! I sure hope, for the sake of our historically beneficial locally controlled public schools, that the counterattack against these Walmartians is not too late! The unregulated world of charter schools is about to get another boost if the current ECAA is put into law. We already know how most of our senators and congressional leaders feel about the ECAA, and in this case, charter school expansion and increased funding. Many of us have had to engage supporters of charter schools who are always ready to point out that “not all charters are the same,” and of course, their claim that the charter schools they do endorse are taking the right approach to helping students who are being harmed by those nasty public schools. Now I want to get this straight from the outset, before you read any farther. I unabashedly support America’s democratic system of public education, regardless of whether a public school is governed by a locally elected school board or a school board appointed by a mayor. Understand, however, that I do not support the process per se for any mayor appointing a school board. This is a bad idea that is being shown again and again to be the wrong approach to meeting the educational needs of communities, large and small. For example, if Chicago is not the poster child for using Rahm Emanuel’s power to destroy public schools, while he sends his children to an elite private school, then I am certainly open to other contenders for the poster. I like a city or any other type community having to elect their public school governing board. This fact alone is going to be foundational in understanding my concerns about the charter onslaught that is increasingly pillaging our public schools across the nation. Sure I support public schools, but until public schools solve all their problems, then I am going to proceed with creating my idea of what a charter school is supposed to look like! I know charters have problems but so do public schools! Now for those pro-charter folks using this line, I am going to school you a little – or maybe a lot! First and foremost, the wonderful and courageous part about our public schools is that they nobly take on the challenges facing the United States. These schools reflect the larger society, and all the wonderful aspects of that society – and all the ills of that society. Our public schools DO NOT require a student and parent to sign a contract that has requirements and rules that if violated means that the student can rather easily be removed and then – of course – be sent back to the good old public school! So, let me be straight with anyone reading this. If your charter school requires a contract signed by a parent and child, and if that contract states that the child can be removed from the charter, which of course implies the child will head back to the regular public school, then that is one of the many reasons I think charters are just flat out wrong! Let’s flip this around a little. Would it be a good idea for public schools to be allowed to engage in this same practice? Certainly, a student can be expelled from a regular public school. However, the process is simply not the same, as we all know – and that WE includes charter supporters! Public schools must not be easily used as a place for charter school castoffs! This is particularly true when neoliberal charter supporters claim that competition is key to improving education. That’s not competition. That’s stacking the deck! Let’s look at this issue in another way. For example, it seems that America’s media certainly worries more about underinflated footballs at the Super Bowl being competitively unfair than it does when it comes to unfair educational competition and America’s traditional public schools! So charter supporters, become as noble as the public schools and do not use these contracts to avoid the complex challenges facing our public schools that go beyond the walls of the school! What’s really amazing is that when looking at the big picture, overall, charters do not outperform the regular old public schools! Of course, as we will see later, there’s plenty of cash in “them thar hills” when it comes to charter schools! Another basic issue that cannot be tolerated in my opinion, is that charter school governing boards are not accountable to the public in the same way regular public schools are. A group that gets together, then gets a school charter and appoints a governing board that is immune from public scrutiny – and then is at the public trough syphoning dollars away from the regular public schools – is not an example of democracy in action. Certainly the neoliberal Milton Friedman would have defined this as democratic in nature – but I don’t! If a school governing board takes public money – then the school governing board must be transparent and accessible in a public manner. Not just accessible to the specific clientele that is part of the charter school of which this board governs! This is an intolerable action! Understand, all this CANNOT – I repeat CANNOT – be construed in any way as being an INNOVATIVE educational approach to improving education! And, of course, we always hear that this is what charters are supposed to be all about – INNOVATION free from the constraint placed on regular public school! I believe that if a charter school does NOT address these two major ways of doing business — 1) contracts and 2) transparency and real public accountability while taking public money — then the charter should not be allowed to exist. I am not about to acquiesce to those who want to create, in effect, private schools with public money! And I am NOT about to buy the claim that this is an example of educational INNOVATION! So here we end part one of the Wild, Wild, World of Charters! Stayed tuned for more regarding this particular attack on our democratic institution of public schools. 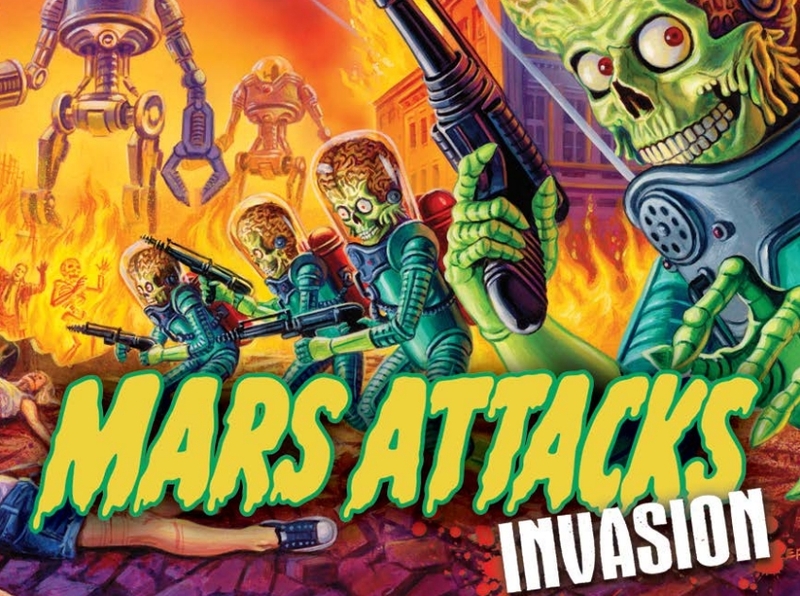 Part II: The Wild, Wild, World of Charter Schools – The Attack of the Walmartians!